Admittedly, on the surface, Data Privacy Day doesn’t seem super exciting. There’s no themed merchandise, no cards to purchase, and no special foods to make—but there is a gift to be given. By celebrating this unlikely holiday, you can give yourself the gift of control. Specifically, control over your personal information and when, and with whom, you share that data. In today’s world, our online footprints paint a picture of who we are. It’s safe to say, no one wants their picture to be stolen, damaged, or misrepresent them. 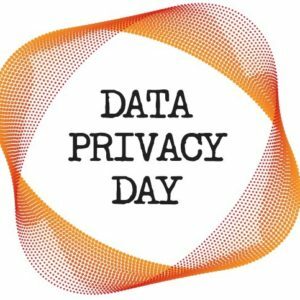 Translation: everyone, including you, should care about Data Privacy Day. 1. Sign up for two-factor authentication. This means that, in addition to a password, you opt to enter an additional factor—such as a unique code sent to your mobile phone—in order to log in to an account. This is extra safe because even if your password is stolen, a thief can’t just get in. Google, Facebook, Instagram, Twitter, and lots more offer this more secure login option. Set a passcode for your phone. It takes a few extra seconds, but it could save you oodles of time later—time you would be spending recovering your identity from thieves. “Forget” public networks. If your phone auto-joins public networks, it makes it easier for a hacker to spoof the real thing and instead connect you to a malicious network. 3. Use. Good. Passwords. Yes, you’ve heard this 1,000 times—but there’s a reason you have. Without good passwords, your privacy could be breached. The most common password is STILL “123456” (and the second most popular is “password”). You can do better. Make sure it’s long (12 characters), is a mix of numbers and letters, doesn’t have any personal info, and is completely unique. For example: Awkw@rdPlatypu$65 would be a good one. 4. Keep your computer clean—and I’m not talking about dusting. Make sure all your software has the latest security patches (better yet, set up auto updates). This includes your operating system, browsers, and, of course. your security software too. 5. Learn a bit more about privacy policies. Those screens of small print most of us ignore? We probably shouldn’t. That legal jargon could say your data is protected…or very much not. Take a few moments to pull up Google and do some research (eff.org has ratings for some)—you might just be surprised by what you find. Set up a firewall. Most new routers today have this feature built in, so just double-check that it’s up and running. 7. Teach the kids in your life about online safety. Just like we teach kids to be citizens of the real world, we need to teach them to safely navigate the online world too. StaySafeOnline.org has lots of helpful tips and a detailed list of additional resources. They even have a video here for Data Privacy Day. We hope these tips help you have a great celebration and a more secure every day.